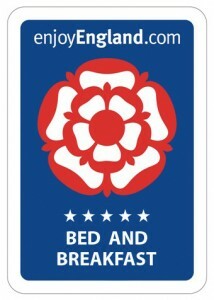 Welcome to Dentdale's affordable, luxury 5 -star country house 'Bed and Breakfast' in a beautiful location in 'The Yorkshire Dales National Park'. The Old Craft Barn can be found in an idyllic situation in Dentdale, nestling under Helms Knott and surrounded by sheep-grazed meadows. It lies midway between the quaint and unique village of Dent with its cobbled street and quaint alleys, and the ancient market town of Sedbergh offering a treasure trove of little speciality shops and cafes. A relaxing, 'get-away from it all' experience, for those who need a break from the hustle and bustle of daily living! Dentdale is often said to be the most hidden and appealing of all of the Yorkshire Dales, ideal for visiting both the Lake District and the Western Dales. Perfect for walking, (The Dalesway) cycling (The Lakes & Dales Loop) and indeed motoring. 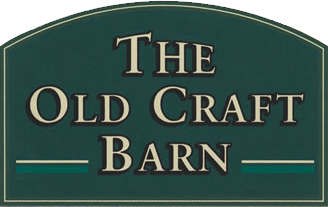 The Old Craft Barn offers the luxury of Five Star Bed and Breakfast to the more discerning traveller. 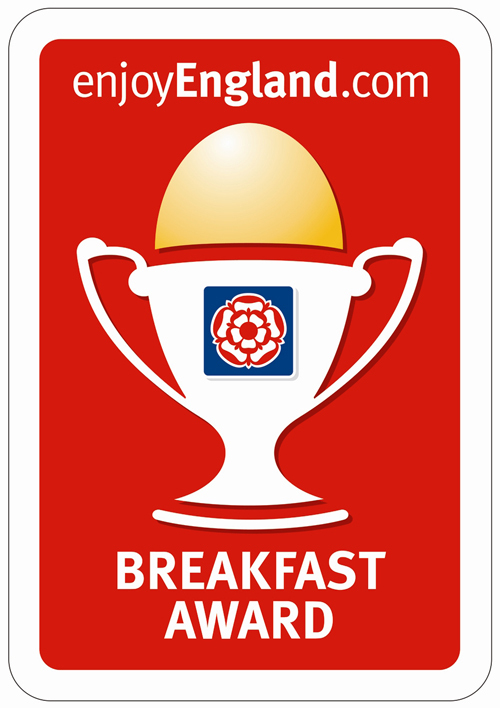 It has been presented with a “Gold Award” and a “Breakfast Award” from Visit Britain and a ‘Certificate of Excellence’ from Tripadvisor. Three individually designed ensuite bedrooms offer a choice of, king size with bathroom, double with shower-room and twin with shower-room. A comfortable welcoming guest lounge with spectacular views of Combe Scar is an ideal ‘get-together’ space for friends or relatives wishing to spend some time together in the evening. The adjoining breakfast room has individual tables but these can be rearranged inorder that a small party of guests can sit together and enjoy a first class breakfast. We also have a cosy, characterful self catering cottage adjoining the main building which can accommodate up to four people. This consists of a ground floor double bedroom (with en suite shower room) and a first floor twin bedroom (with en suite bathroom). Although it retains many of the original features it is equipped with all the modern day requirements. We are happy to welcome guests during the winter months ! 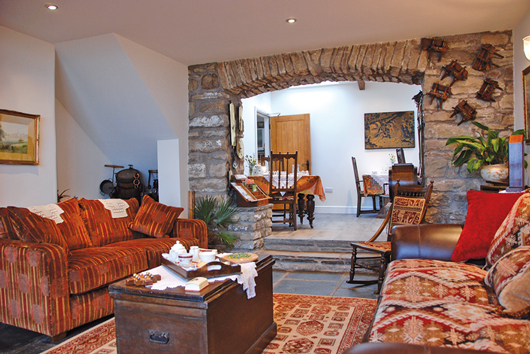 The Old Craft Barn, Helmside Dent Cumbria LA10 5SY – An award winning luxury! Copyright The Old Craft Barn 2018. All rights reserved. Guesthouse website design by Blea.